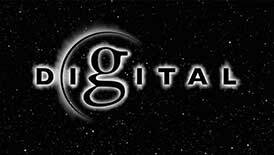 Terms and conditions (the “Terms”) govern your access to and use of G.COM LLC’s websites and mobile applications (“Site”), including garthbrooks.com, which Ghosttunes LLC operates on behalf of G.COM LLC. These Terms apply to any and all uses of or activities that occur on or through garthbrooks.com. By accessing or using the Site, you (i) acknowledge that you have read, understand, and agree on your own behalf and/or on behalf of your children to be bound by these Terms and to comply with all applicable laws, rules, and regulations with respect to your use of garthbrooks.com; and (ii) represent that you are an adult and have the legal capacity to enter into contracts in the jurisdiction where you reside. It is important that you read carefully and understand the Terms. Do not access or use the Site if you are unwilling or unable to be bound by the Terms. Any references to “you” and “your” refer to you, as a user of the Site. References to “we”, “us” and “our” refer to G.COM LLC. A. Responsibility for Your Content: You alone are responsible for the content of your messages, and you agree to indemnify and hold harmless Ghosttunes LLC and G.COM LLC and their agents, affiliates, artists, directors, attorneys, staff, employees, and independent contractors with respect to any claim based upon the transmission of your message(s) and/or posting(s). We reserve the right to remove any messages for any or no reason whatsoever. B. Ghosttunes LLc’s and G.COM LLC’s Right to Use Your Content: By posting messages, uploading files, inputting data, or engaging in any other form of communication through this Site, you (i) represent and warrant that your content is original to you, that you own or otherwise control all of the rights in and to that content or that you have the rights necessary to grant the license that follows; (ii) represent and warrant that your communications and other content do not violate any rights, including the rights of privacy, of any party and do not otherwise violate the law; and (iii) grant Ghosttunes LLC and G.COM LLC a royalty-free, perpetual, non-exclusive, irrevocable, unrestricted, fully transferable, worldwide license to: (1) use, copy, sublicense, adapt, edit, modify, add to, delete, distribute, publish, sell, transmit, publicly perform, display or otherwise use any such communication or other content for any purpose and through any means or media now known or later developed; and (2) sublicense to third parties the unrestricted right to exercise any of the foregoing rights granted with respect to the communication or other content. The foregoing rights shall include the right to exploit any proprietary rights in such communication, including but not limited to rights under copyright, trademark, service mark or patent laws under any relevant jurisdiction. C. Ownership: All material on the Site (“Materials”), including, but not limited to, text, data, graphics, logos, button icons, images, audio clips, video clips, links, digital downloads, data compilations, and software is owned, controlled by, or licensed to G.COM LLC and is protected by copyright, trademark, and other proprietary rights. Subject to your compliance with these Terms and your payment of any applicable fees, we grant you a limited, non-exclusive, non-transferable, non-sublicensable license to access and make personal and non-commercial use of the Materials. You do not acquire any ownership rights to any content, document or other Materials accessed through the site. The posting of Materials on garthrbooks.com by us does not constitute a waiver of any rights in or to such information or Materials. Materials on the Site are made available solely for your personal, non-commercial use and may not be copied, reproduced, republished, modified, uploaded, posted, transmitted, or distributed in any way, including by e-mail or other electronic means, without the express prior written consent in each instance of Ghosttunes LLC or G.COM LLC, as applicable. The names of the artists and other product and company names on garthbrooks.com are the property of their respective owners. Specifically, the names Garth Brooks and Garth and the “Circle G” logo are registered service marks and trademarks. You may download Materials intentionally made available for downloading from the Site for your personal, non-commercial use only, and not for republication, distribution, assignment, sublicense, sale, resale, preparation of derivative works or any other use, provided that you keep intact any and all copyright and other proprietary notices that may appear on such materials. The following rules, policies, and disclaimers shall apply to and/or govern your use of the Site (including, without limitation, any bulletin boards, chat rooms, or other online services provided on this Site). We will not actively monitor any user-generated content on the site. We do not review every message or confirm the accuracy or validity of information posted. We do not actively monitor the contents of the postings and are not responsible for the content of any postings. We do not vouch for or warrant the validity, accuracy, completeness, or usefulness of any message or information posted. The contents of the postings do not represent the views of Ghosttunes LLC, G.COM LLC or any person or entity associated with Ghosttunes LLC or G.COM LLC. If you feel that any posting is objectionable, we encourage you to contact us by email at designatedagent@garthbrooks.com. We will make every effort to remove objectionable content if we deem removal to be warranted. Please understand that removal or editing of any posting is a manual process and might not occur immediately. A. You agree not to, and will not assist, encourage, or enable others to use the Site to: i. Post any material that is knowingly false and/or defamatory, inaccurate, abusive, vulgar, obscene, profane, hateful, harassing, sexually oriented, threatening, invasive of anyone’s privacy, or otherwise in violation of any law; ii. Post or transmit any material in violation of a third party’s copyright or other intellectual property or proprietary rights; iii. Post or transmit any information or software that contains a virus, worm, defects, Trojan horses or other items of a harmful, disruptive or deleterious nature; iv. Engage in commercial activity (including, but not limited to, sales, contests or sweepstakes) without the prior written consent of Ghosttunes LLC or G.COM LLC, as applicable; v. Solicit, request or collect personal information for commercial or unlawful purposes; vi. Solicit personal information from minors; vii. Send bulk emails, surveys, or other mass messaging whether commercial in nature or not; viii. Engage in keyword spamming, or otherwise attempt to manipulate the Site’s search results; or ix. Impersonate any other individual or entity. B. You also agree not to, and will not assist, encourage, or enable others to: i. Restrict or inhibit any other user from using and enjoying the Site (for examples, by means of hacking or defacement); ii. Utilize any robot, spider, site search/retrieval application, or other automated device, process or means to access, retrieve, scrape or index any portion of the Site; iii. Remove or modify any copyright, trademark or other proprietary rights notice that appears on any portion of the Site or on any materials printed or copied from the Site; iv. Record, process or mine information about other users; v. Reformat or frame any portion of the Site; vi. Take any action that imposes, or may impose, in our sole discretion, an unreasonable or disproportionately large load on Ghosttunes LLC’s technology infrastructure or otherwise make excessive traffic demands of the Site; vii. Attempt to gain unauthorized access to the Site, user accounts, computer systems or networks connected to the Site through hacking, password mining or any other means; viii. Use any device, software or routine that interferes with the proper working of the Site, or otherwise attempt to interfere with the proper working of the Site; ix. Use the Site to violate the security of any computer network, crack passwords or security encryption codes; disrupt or interfere with the security of, or otherwise cause harm to, the Site; or x. Remove, circumvent, disable, damage or otherwise interfere with any security-related features of the Site, features that prevent or restrict the use or copying of Site content or features that enforce limitations on the use of the Site. G.COM LLC and its employees will not accept or consider unsolicited sound recordings, musical compositions or any other creative materials (collectively, the “Submission”), other than those materials that are specifically requested. We hope you will understand that it is the intent of this policy to avoid the possibility of future misunderstandings when projects developed by us seem to others to be similar to their own creative work. If, despite our policy, you still have submitted unsolicited material to us then G.COM LLC will not be obligated to treat your Submission as confidential or proprietary and, by making such a Submission, you will be deemed to have acknowledged that i) G.COM LLC have no obligation and shall not be liable to you or to any person claiming through you based on such Submission and ii) you relinquish any claim whatsoever based upon your submission. The Site may include links to other websites or applications (each, a “Third Party Site”). Unless otherwise noted, G.COM LLC does not operate, control or endorse any information, products, or services on any Third Party Site. You agree that we are not responsible for the availability or contents of any Third Party Sites and that your use of any Third Party Site is at your own risk. You agree to indemnify, defend and hold harmless Ghosttunes LLC, Garth Brooks, and G.COM LLC and their affiliated companies, officers, directors, artists, staff, employees, agents, attorneys, licensors, and suppliers from and against all liability, losses, claims, expenses, damages, and costs, including but not limited to reasonable attorneys’ fees, resulting from (i) your access to or use of the Site, (ii) your violation of the Terms, (iii) your use of any products or services purchased or obtained by you in connection with the Site, or (iv) the infringement by you, or any third party using your account, of any intellectual property or other right of any person or entity. G.COM LLC reserves the right, at your expense, to assume the exclusive defense and control of any matter subject to indemnification by you. PLEASE READ THIS SECTION CAREFULLY SINCE IT LIMITS THE LIABILITY OF GHOSTTUNES LLC AND G.COM LLC AND THEIR SUBSIDIARIES, AFFILIATES, AND LICENSORS. EACH OF THESE SUBSECTIONS BELOW ONLY APPLIES UP TO THE MAXIMUM EXTENT PERMITTED UNDER APPLICABLE LAW. NOTHING HEREIN IS INTENDED TO LIMIT ANY RIGHTS YOU MAY HAVE WHICH MAY NOT BE LAWFULLY LIMITED. A. THE SITE IS MADE AVAILABLE TO YOU ON AN “AS IS”, “WITH ALL FAULTS” AND “AS AVAILABLE” BASIS. YOUR USE OF THE SITE IS AT YOUR OWN DISCRETION AND RISK. NEITHER G.COM LLC NOR GHOSTTUNES LLC MAKES ANY CLAIMS OR PROMISES ABOUT THE QUALITY, ACCURACY, OR RELIABILITY OF THE SITE, ITS SAFETY OR SECURITY, OR THE SITE CONTENT. ACCORDINGLY, NEITHER G.COM LLC NOR GHOSTTUNES LLC IS LIABLE TO YOU FOR ANY LOSS OR DAMAGE THAT MIGHT ARISE FROM YOUR USE OF THE SITE. B. G.COM LLC AND GHOSTTUNES LLC EXPRESSLY DISCLAIM ALL WARRANTIES, WHETHER EXPRESS OR IMPLIED, INCLUDING, BUT NOT LIMITED TO, ANY IMPLIED WARRANTIES OF MERCHANTABILITY, FITNESS FOR A PARTICULAR PURPOSE, AND NON-INFRINGEMENT. YOU ASSUME TOTAL RESPONSIBILITY AND RISK FOR YOUR USE OF THE SITE. C. GHOSTTUNES LLC, G.COM LLC, THEIR AFFILIATES, AND THEIR SPONSORS ARE NEITHER RESPONSIBLE NOR LIABLE FOR ANY DIRECT, INDIRECT, INCIDENTAL, CONSEQUENTIAL, SPECIAL, EXEMPLARY, PUNITIVE, OR OTHER DAMAGES ARISING OUT OF OR RELATING IN ANY WAY TO THE SITE OR TO ANY THIRD PARTY SITE. YOUR SOLE AND EXCLUSIVE RIGHT AND REMEDY IN CASE OF DISSATISFACTION WITH THE SITE, RELATED SERVICES AND/OR ANY THIRD PARTY SITE SHALL BE YOUR TERMINATION AND DISCONTINUATION OF ACCESS TO, OR USE OF THE SITE. D. NEITHER G.COM LLC NOR GHOSTTUNES LLC WARRANTS THAT THE FUNCTIONS CONTAINED ON THE SITE WILL BE UNINTERRUPTED OR ERROR-FREE, THAT DEFECTS WILL BE CORRECTED, OR THAT THE SITE OR ANY THIRD PARTY SITE, OR THE SERVERS THAT MAKE THEM AVAILABLE, ARE OR WILL BE FREE OF VIRUSES OR OTHER HARMFUL COMPONENTS. E. NEITHER G.COM LLC NOR GHOSTTUNES LLC WARRANTS OR MAKES ANY REPRESENTATIONS REGARDING THE USE OR THE RESULTS OF THE USE OF THE MATERIALS ON THE SITE OR ANY THIRD PARTY SITE. F. NEITHER G.COM LLC NOR GARTH BROOKS MAKES ANY REPRESENTATIONS OR WARRANTIES REGARDING HOW OFTEN THE MATERIALS OR INFORMATION POSTED ON THE SITE WILL BE UPDATED (IF AT ALL) OR THE NUMBER OR IDENTIFICATION OF THE RECORDING ARTISTS OR OTHER INDIVIDUALS (IF ANY) THAT WILL BE FEATURED ON THE SITE. G. THE DISCLAIMERS AND LIMITATIONS OF LIABILITY SET FORTH IN THESE TERMS ARE A FUNDAMENTAL ELEMENT OF THE BASIS OF THE BARGAIN BETWEEN US AND YOU. GARTHBROOKS.COM AND THE CONTENT ACCESSIBLE THROUGH GARTHBROOKS.COM WOULD NOT BE PROVIDED WITHOUT SUCH LIMITATIONS. NO ADVICE OR INFORMATION, WHETHER ORAL OR WRITTEN, OBTAINED BY YOU FROM US SHALL CREATE ANY WARRANTY, REPRESENTATION OR GUARANTEE NOT EXPRESSLY STATED IN THIS AGREEMENT. Although this Site is accessible worldwide, not all products or services discussed or referenced on this Site are available to all persons or in all geographic locations. G.COM LLC reserves the right to limit, in its sole discretion, the provision and quantity of any product or service to any person or geographic area it so desires. Any offer for any product or service made in this Site is void where prohibited. If you wish to purchase products or services described on the Site, you may be asked to supply certain information including credit card or other payment information. By initiating a transaction you warrant and represent that you (A) are eighteen (18) years of age or older and (B) have the legal right to use the payment means you select. You agree that all information that you provide will be accurate, complete, and current. You agree to pay all charges, including shipping and handling charges, incurred by users of your credit card or other payment mechanism at the prices in effect when such charges are incurred. You will also be responsible for paying any applicable taxes relating to your purchases. G.COM LLC will be entitled to change the pricing and availability of any particular product(s) or service(s) without prior notice at any time. G.COM LLC does not offer refunds in the event of temporary or permanent price drops following purchase at higher prices. All sales of digital content are final. You acknowledge and agree that these Terms will be treated as though executed and performed in the City of Nashville, Davidson County, TN and will be governed by, and construed in accordance with, the laws of the State of Tennessee, exclusive of its choice of law rules. You also agree that if any dispute or claim arises out of or relates to these Terms you will attempt in good faith to negotiate a written resolution of the matter directly with us. You agree that if the matter remains unresolved for forty-five (45) days after we have received notification of a dispute via certified mail or personal delivery, the parties shall join in mediation services in Davidson County, TN with a mutually selected mediator in an attempt to resolve the dispute. Should you file any arbitration claims or any administrative or legal actions without first having attempted to resolve the matter by agreement and by mediation, then you agree that you will not be entitled to recover attorneys’ fees or costs, even if you would otherwise be entitled to them. All legal proceedings arising out of or in connection with these Terms will be brought only in Davidson County, TN. Each party submits to the exclusive jurisdiction of the state and federal courts sitting in Davidson County, TN and waives any jurisdictional, venue, or inconvenient forum objections to such courts. You expressly consent to extra-territorial service of process. Each party further agrees as follows: (i) any claim brought to enforce these Terms must be commenced within one (1) year of the cause of action accruing; (ii) no recovery may be sought or received for damages other than out-of-pocket expenses, except that the prevailing party will be entitled to costs and attorneys’ fees; and (iii) any claim must be brought individually and not consolidated as part of a group or class action complaint. A. In the event that any of the provisions of the Terms are held by a court or other tribunal of competent jurisdiction to be unenforceable, such provisions shall be limited or eliminated to the minimum extent necessary so that the Terms shall otherwise remain in full force and effect. B. The Terms contain the entire and only agreement between you and us regarding the use of garthtbrooks.com and the information, products, and services provided by or through garthbrooks.com, and supersede any prior or contemporaneous agreements, representations, warranties, and understandings between you and us on such subject matter. The parties acknowledge that no reliance is placed on any representation made but not expressly contained in these Terms. C. We may provide you with notices, including those regarding changes to the Terms by email, regular mail or communications through the Site. D. Any failure by Ghosttunes LLC or G.COM LLC to exercise or enforce any right or provision of the Terms does not constitute a waiver of such right or provision in that or any other instance. The failure of either party to exercise in any respect any right provided for herein shall not be deemed a waiver of any further rights hereunder. E. The Terms are not assignable, transferable or sublicensable by you except with the prior written consent of Ghosttunes LLC or G.COM LLC as applicable, but may be assigned or transferred by us without restriction. Any assignment attempted in violation of the Terms shall be void. F. The section titles in the Terms are for convenience only and have no legal or contractual effect.